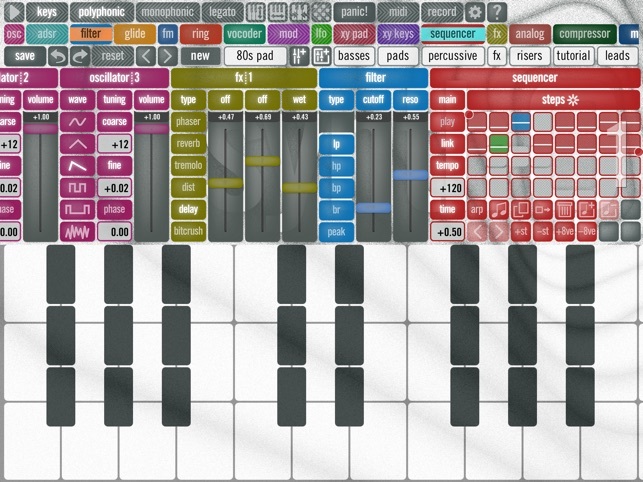 Introducing the queuing synthesizer for iPad. 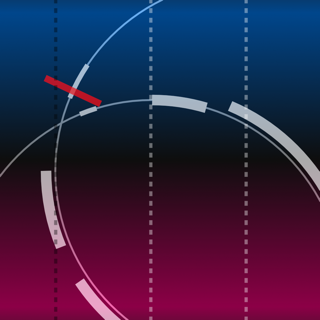 SynthQ has been designed from the ground up with the touchscreen interface in mind. 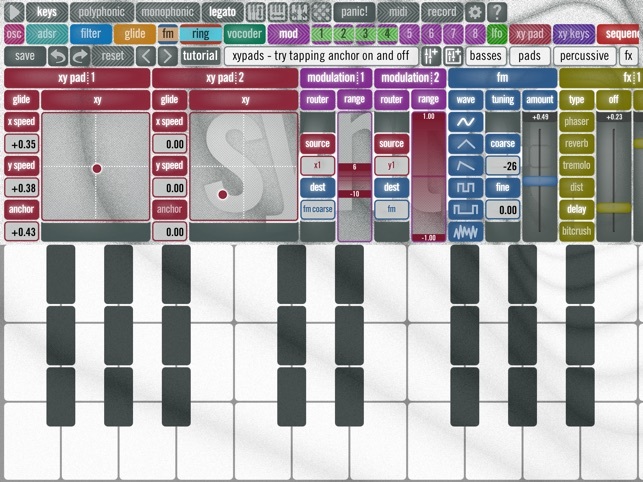 SynthQ is a subtractive synthesizer with a customizable interface. 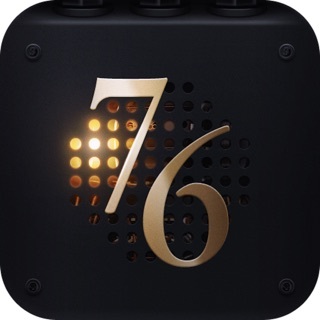 A unique module queuing system, resizable multi-octave keyboard, and intuitive cable-based modulation controls offer a truly dynamic music-making experience for iOS. 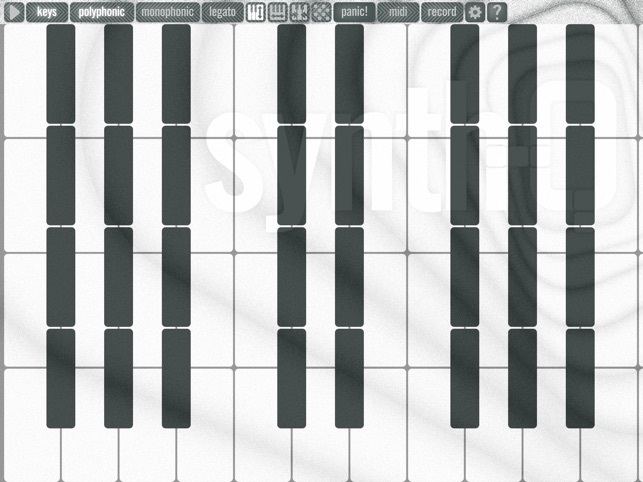 Alter the sound with synthQ's movable keys. 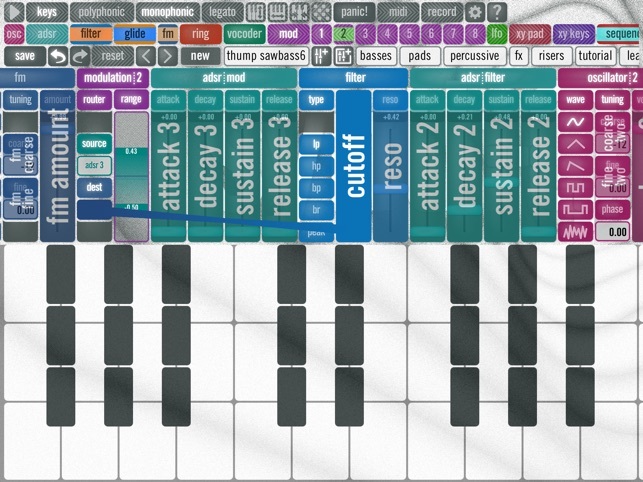 SynthQ provides an intuitive and engaging way to get started creating your own sounds, and is ideal for production, performance and music education environments. —import presets directly from iOS mail by tapping and holding the attachment and pressing "Open in synthQ"
Follow @synthQ on Twitter for latest announcements and free preset packs, updated regularly! Share your presets with the developer for a chance to get them added to an official update! 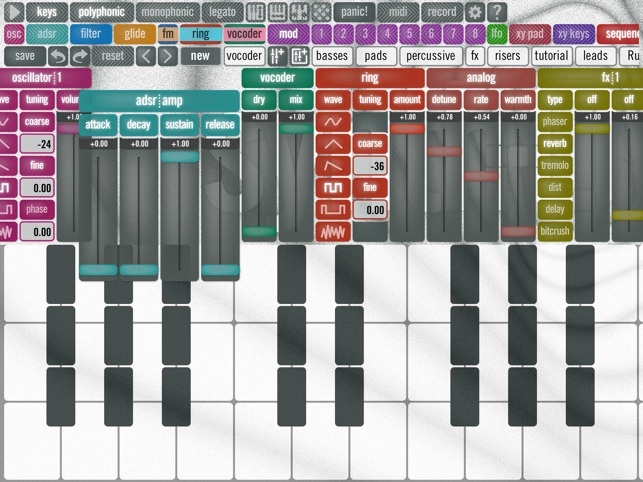 There are a lot more expensive synth apps out there that are a lot known and much more expensive, but this insanely deep music making tsunami is an affordable sound designers dream that leaves others int the dust! The interface is great and worth preserving, if it ran more smoothly. Sometimes the sound is glitchy, and stutters occasionally. App support links to Facebook!! Come on really?